Silver Mogwai was born out of a long-term project to create a cable to give to customers with equipment purchases that required XLR balanced cables. We wanted to develop a cable that would deliver the very best performance regardless of the investment. Our starting point was to gain maximum resolution when using active ATC speakers, and other high-end systems that thrive on detail, transparency and soundstage. 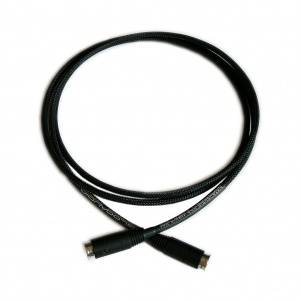 We eventually found a cable with low enough capacitance and resistance that worked musically, and then ran various customer blind trials to ensure consistency in all systems with predictable, confident and cable-keeping results. 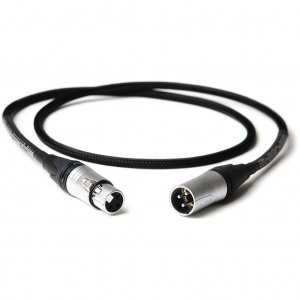 Having found the right cable, we made some small yet significant modifications by using Neutrik's velour chromium plating XLR plugs, silver contacts and silver solder. Now that we have reached our goal and have had consistently positive feedback across the board, it's time to share our cables, including S/PDIF and AES-EBU, with all audiophiles and enthusiasts who need the very best sound at sensible prices. Individually handcrafted in the U.K. by a highly skilled and experienced engineer to exacting requirements. When it comes to traversing the world of cable brands, your journey ends with Silver Mogwai.